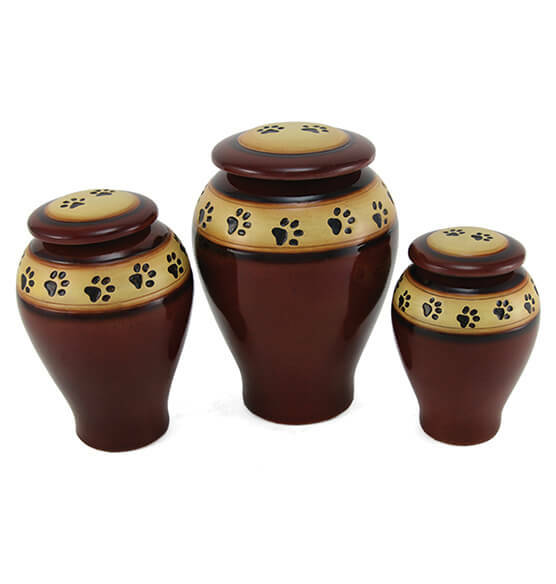 Give your pet's ashes a beautiful final resting place with this Personalized Red Ceramic Paw Print Pet Urn. 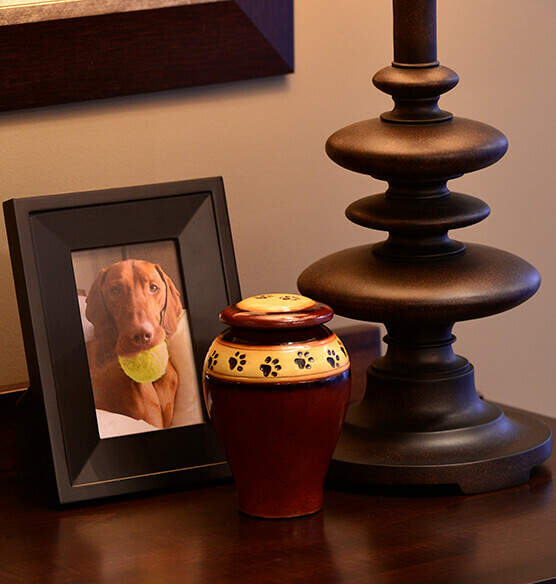 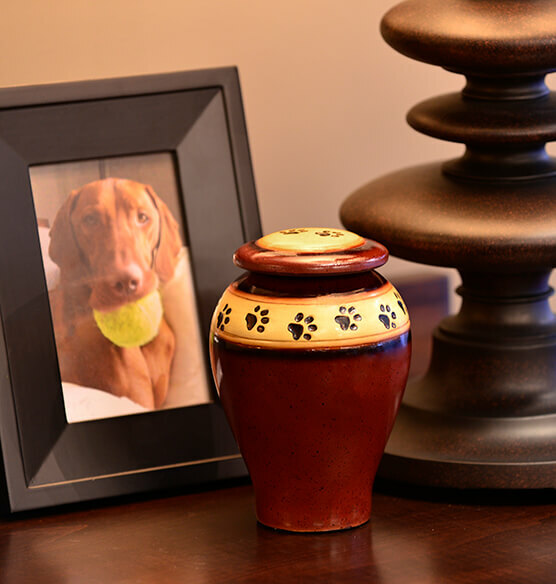 Each handcrafted pet cremation urn is one-of-a-kind, crafted from dark red painted ceramic and encircled with hand painted paw prints. 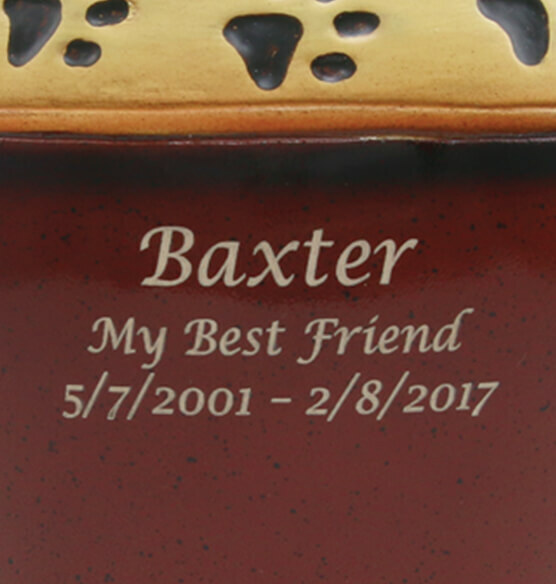 Personalize with a message in your choice of lettering styles to create a unique memorial for a dog or cat.